Oak Point is a community of approximately 3,300 residents located in the northeast quadrant of Denton County in north central Texas approximately 40 miles north of Dallas. 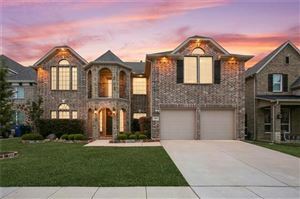 Ranked in the Top 20 of 63 suburbs in the Dallas area by D Magazine, Oak Point is located just south of U.S. Highway 380 equidistant between Denton and Frisco. While the community, positioned on a scenic Lake Lewisville peninsula, provides a tranquil setting away from the pressures of a more urban environment, Oak Point is located just 10 miles from the Dallas North Tollway, seven miles from IH-35E, and 25 miles from the Dallas/Fort Worth (DFW) International Airport. Accessibility, location, and an excellent quality of life make Oak Point a desirable place to live and do business.